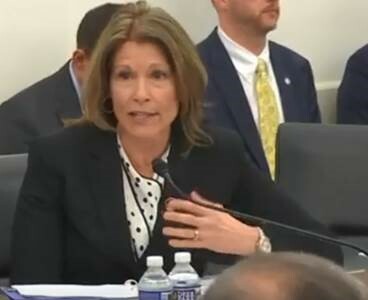 WASHINGTON – In a House Defense Appropriations Subcommittee hearing yesterday afternoon regarding the FY2020 Air Force budget, Congresswoman Cheri Bustos (IL-17) stressed the importance of local defense priorities to the Secretary of the Air Force, Heather Wilson. Yesterday’s hearing gave Congresswoman Bustos an opportunity to follow up on a letter she hand delivered to Secretary Wilson – which detailed each of those priorities – when they met in the Congresswoman’s office earlier this year. Congresswoman Bustos’ line of questioning comes on the heels of last week’s Military Construction and Veterans Affairs Appropriations subcommittee hearing where she was assured that the allocation of $9 million to construct a new Fire House at the Peoria Air National Guard in FY2019 would not be reallocated due to the president’s national emergency declaration. As a result, Congresswoman Bustos asked if Secretary Wilson, or anyone under her command, would commit to not issuing guidance that would delay this project. Secretary Wilson said she has given no such direction for this specific project and has no intention of doing so. Additionally, Congresswoman Bustos advocated for the 182nd Airlift Wing in Peoria to be considered for the acquisition of a new Air Force Aeromedical Evacuation Squadron. Congresswoman Bustos laid out Peoria’s qualifications for this facility such as the highest C-130 Mission Capability Rate, proximity to Scott Air Force Base and high-quality medical professionals from Central Illinois. Accordingly, Congresswoman Bustos sought a timeline for when a final decision will be made on the new location of the Aeromedical Evacuation Squadron.